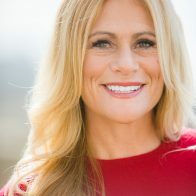 Motivational keynote speaker Robyn Benincasa is the best! We may be biased, but we’re not alone in our complete adoration for her leadership and teambuilding expertise. In the past three years Robyn has spoken at over 285 events and 55 events this year alone. She’s won over companies across the country and continues to blaze trails around the world. “Robyn is our human dynamo. She’s on track to do 120 events this year and knowing Robyn, she’ll probably see that as a starting goal!” says BigSpeak EVP Ken Sterling. With a unique message that is tailored to each business, she has made a name for herself as an adaptable speaker and is often asked to return for multiple speaking events. As she continues to make new connections with some of the biggest names across all industries, her reputation as an incredible keynote speaker precedes her. Here are a few rave reviews from notable companies that have worked with Robyn Benincasa.